A scene from "Light Art in Shower Ocean"
"Light Art in Shower Ocean"
What happens when impromptu artwork comes alive? 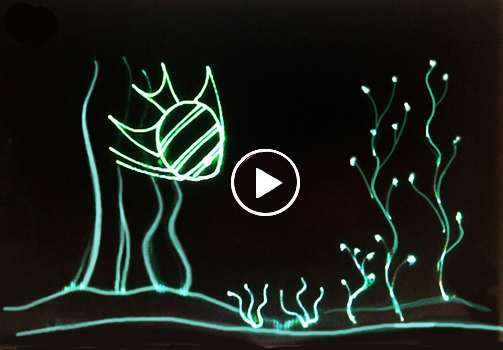 This was Manick's first "light artwork" utilizing lighting technology, laserpointers and flashlights as painting tools accompanied by his own music - posted on YouTube. The rest became history. In first few days itself it received over 500 clicks, and viraling. Want to watch the show? Click here for YouTube , Facebook, or the picture above!